Moxie’s Grill & Bar is a Canadian-based upscale premium casual dining restaurant and lounge. Moxie’s offers a complete menu of globally inspired dishes made with fresh ingredients and served in a stylish and inviting atmosphere. Menu choices include ribs, pasta, steaks, chicken, and salads. Guests can enjoy Moxie’s for Lunch, Dinner, after-work cocktails or Sunday Brunch. Moxie’s also offers a selection of handcrafted cocktails, wines, and craft beers. Below is the latest Moxie’s menu with prices. The majority of the seating at Moxie’s is available for walk-in guests. Reservations are accepted on a limited basis and availability will depend on specific location. Many locations will not accept reservations during busy dining hours or during special events. Moxie’s Grill & Bar gift cards are not like other gift cards. Guests can personalize them by adding their own photo and message. Guests can send traditional gift cards via postal service or guests can send an e-git card where the recipient receives the gift card in their email inbox instantly. For guests that enjoy the world of food and drink, Moxie’s Grill & Bar has a blog dedicated to sharing the latest info and trends within the food & drink world. Guests can read about recipes, ingredients, preparations, and inspirations from the crew at Moxie’s. Maintaining a certain lifestyle and making good food choices is easy at Moxie’s. Visit the official Moxie’s Grill & Bar website and view or download the nutritional value chart. The chart provides detailed information for each of the menu dishes. Be sure to check it out before your next visit to Moxie’s. The health and safety of guests are very important to Moxie’s Grill & Bar. Moxie’s strives to provide a complete and accurate list of common allergens found in their dishes. For guests wishing to know allergen info before dining at Moxie’s can view or download the guide prior to your next visit. For guests with gluten sensitivities, Moxie’s has a special menu with a selection of dishes that are gluten friendly. The Moxie’s kitchen is not gluten free and cross contamination does occur. Guest with severe gluten allergies should speak with the restaurant manager before making a selection. The best way to be in the know about anything Moxie’s is to sign up for their newsletter. The newsletter provides guests with a listing of upcoming events, updates on new menu items plus all the latest on soon to open locations. Sign up is quick and can be accomplished on the Moxie’s official website. Candidates looking to join a team of like-minded individuals that have a passion for serving great tasting food and offering customers a unique dining experience should consider Moxie’s Grill & Bar. Self-motivated, hard-working candidates interested in joining the Moxie’s team should check out the Career page on the official Moxie’s website. There, they can learn about the company, the culture and browse the list of current openings. Moxie’s began as a small diner in Calgary, Alberta in 1986. In 2004, Moxie’s Grill & Bar re-branded itself into an upscale premium casual dining restaurant. Today, there are over 60 locations across eight Canadian provinces. 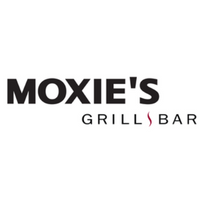 Moxie’s Grill & Bar is headquartered in Calgary, Alberta. Be sure to follow and connect with Moxie’s Grill & Bar through various social media platforms. To learn more about Moxie’s Grill & Bar, visit their official website.